Shopping for Monty Python Pop! Vinyl Figures? Pop! 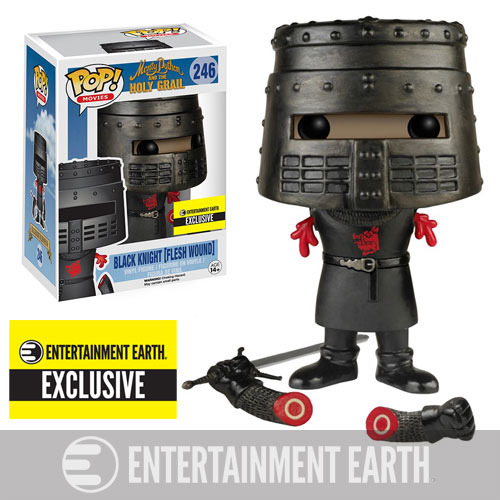 Vinyl figure featuring the brave Black Knight! This exclusive flesh wound version is available only at Entertainment Earth. As seen in the classic comedy Monty Python and the Holy Grail.